The Vodia IOP unites all of these convenient features into a palm-sized unit. Size can be deceiving, though. The IOP is packed with a powerful H2 quad core Cortex-A7 with 512 MB RAM. It is also powered by 5v of power, helping to ensure its the most stable solution on the market. Finding the IOP Device: In order to find your device, plug in your IOP into your local LAN. Power up the device by using the AC adapter provided in the box. Next, log into your router and navigate to your DHCP list. You will find the IOP IP address there. 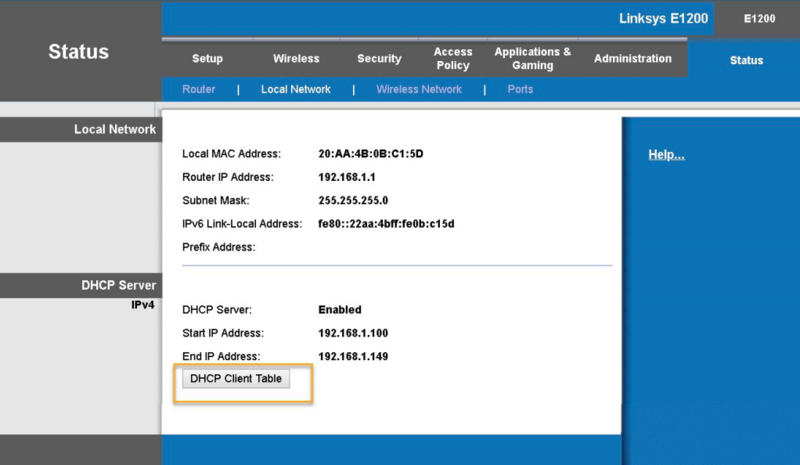 DHCP Reservation: Reserve the IOP IP address on your router to prevent the IP from changing. This is extremely useful when installing the IOP device in either a small or mid-sized office that already has many devices on the LAN. Accessing the Web GUI & Setting a Password: One of the key features of the Vodia IOP is its web-based administration interface. The Vodia IOP supports Google Chrome, Firefox, Microsoft Edge, and Safari. First, begin by logging into your Vodia IOP device. Use the IP address provided by your DHCP. Your user name will be “admin” and no default password will be set at this time. Upon logging into your device, you will need to assign a new user name & password. You will go to the Security tab and choose General. Under Administration Login, create a user/password for the system. Log out and then sign in with your new credentials. You can set a name for the domain by going to “Features” and choosing “General Settings.” Add your country code, area code, and a default ANI if your SIP trunk provider has assigned you on. Under emergency number, add 911. Under ANI, you can add the caller ID of your company’s main number. This is extremely useful when an extension calls 911 because the IOP PBX will send the emergency dispatcher that caller ID information. Default PNP dial plan scheme: This setting allows you to set auto-dial & configure timeout-based dialing. Authentication user/password: This setting enables an administrator to create identical user names & passwords for all of the devices in a domain. Authentication PIN: This setting allows an admin to override a user’s PIN (which is used on the phone itself). By having admin access to the phone, the phone can be reset. Proposed SIP transport protocol: The transport layer can be pre-selected on extension level, domain level, or system level. The second part of the “Getting Started” rundown will include creating extensions, configuring desktop phones, and creating SIP trunks. For more information regarding the suite of Vodia products, including the IOP device, contact the 888VoIP Channel Account Managers at 888-864-7786 or by emailing [email protected] Also, visit the Vodia Featured Solutions page for even more information! The post Getting Started with the Vodia IOP: Part 1 appeared first on 888VoIP.